Today is Dewey’s readathon and once again, I’ll be joining in. I’ll be posting a few updates here on the blog, as I progress throughout the day, although most of my updates will be on Listy or Goodreads. Today will be an exception for the blog with us posting multiple over the course of the day — please forgive typos as I will have less time to spend editing and proofreading in an effort to maximize my reading time. For those of you who don’t know about the readathon, it’s a 24-hour readathon with tons of mini challenges and social media interaction to break up the reading. Readers are following along on blogs, goodreads, Listy, Twitter, Facebook, and a few other places. This year marks the 10-year anniversary of the readathon. It starts at 8am EST and ends tomorrow at 8am. 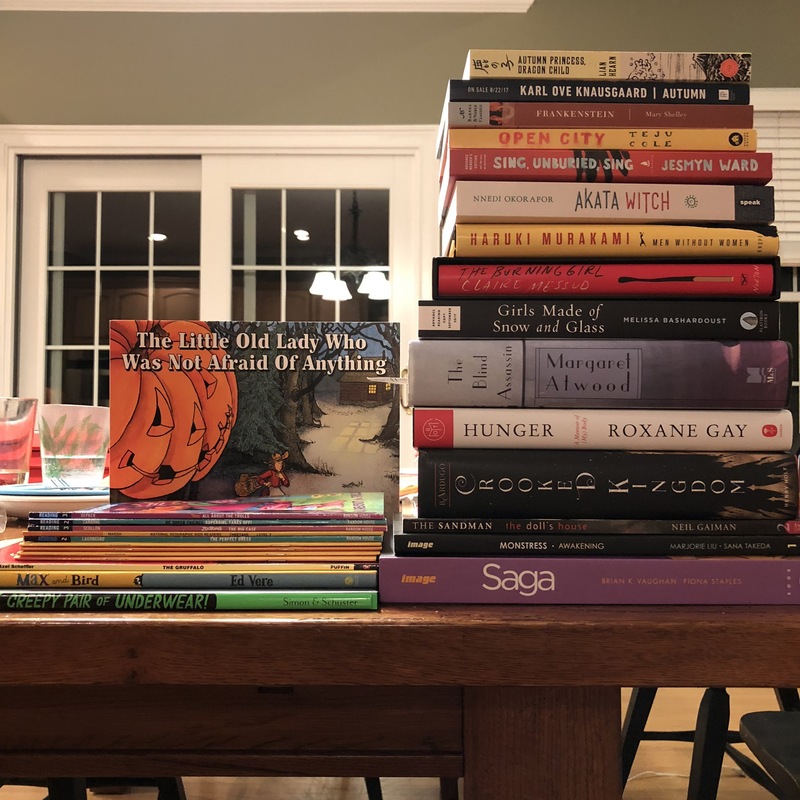 This year my 7-year old daughter wanted to join in and her goal is to read for 2 hours. She woke up early this morning to pick out her stack of books and we bought a few new ones for her yesterday. I am less organized. I pulled a giant stack of books from which I can select my choices for the day. I’m a mood reader so I’ll select whatever strikes the mood. Both of our stacks are pictured below. I never make the full 24 hours (I like my sleep) but I will try to read for at least 14 hours. Are you joining in this year? You can still join. Sign up here: Dewey’s readathon. What are you goals?